Apple's desire for a so-called "nano-SIM" would allow the company to potentially design even smaller products, with a SIM card that would require less space inside of a smartphone. The MicroSIM card, with a design smaller than traditional SIM cards, was originally pushed by Apple in 2010 with the launch of the iPhone 4. But the nano-SIM would go even smaller, with a size about a third smaller than MicroSIM. That's prompted Apple to lead the charge for adopting the new standard, though other companies oppose Apple's design proposals, according to the Financial Times. Rivals Nokia, RIM and Motorola are reportedly concerned that Apple could own the patents related to design of the nano-SIM. 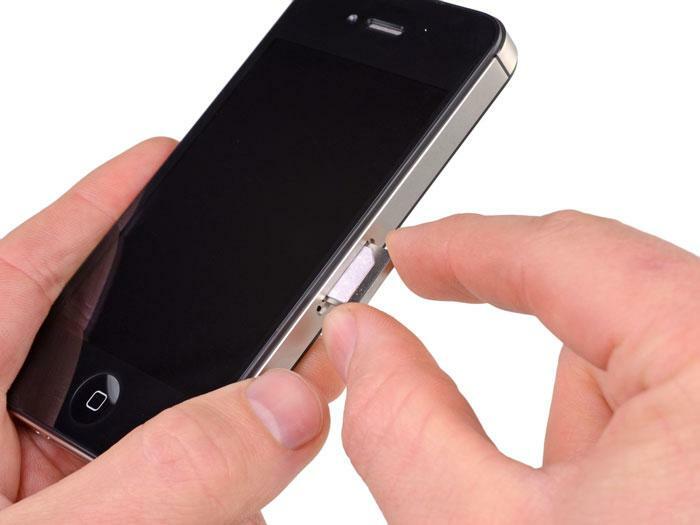 Use of the smaller SIM card would require a special "drawer" in a smartphone to protect the card, which one person said would require companies to re-engineer their smartphone designs. Though Apple's push has been met with resistance from three of its biggest rivals, the iPhone maker does have the support of most European carriers. Together, they have made proposals for adoption to the European Telecommunications Standards Institute. iPhone 4S SIM card removal, via iFixit. In 2010, it was reported that Apple was working on an embedded SIM design that would allow users to select a carrier and service plan directly from their iPhone. But those plans allegedly upset carriers, who felt they could be marginalized by such a move. Instead, Apple compromised and began talking with carriers about designing a smaller SIM card that it would use instead of an e-SIM. The CEO of France Telecom said the dialogue with Apple about a smaller SIM card was a "constructive exchange," and that the iPhone maker "understood" why carriers were so concerned about the proposed SIM-less design.